Commercial land concessions may be protected under international investment law, with important implications for local land relations. Lorenzo Cotula argues that securing land rights requires tackling these global dimensions. As economic globalisation intensifies and expands its reach, growing global consumption is placing the world's natural resources under unprecedented pressure. Petroleum and minerals are extracted in previously marginal sites; and agribusiness developments have extended their reach, displacing natural habitats and non-intensive land and resource use. The effects of some 'land grab' deals are now clear to see: lands previously used for common grazing or foraging have been converted to monoculture. More intangible, but equally important changes in international law are shifting the balance between private interests and public authority in competing natural resource claims. As demand for valuable lands intensifies and land relations become more transnational, struggles over land increasingly rely on international law – creating new opportunities to challenge and demand accountability. For example, indigenous peoples have taken encroachments on their ancestral lands to international human rights bodies; peasant movements are demanding international recognition for peasant land rights, their resolve strengthened by concerns about 'land grabbing'. The connection between land rights and fundamental human rights has been recognised at United Nations level. Soft-law instruments such as the Voluntary Guidelines on the Responsible Governance of Tenure (VGGT), endorsed by the UN Committee on World Food Security, provide international guidance on land tenure – traditionally an issue governed exclusively at domestic level. But it is the rise of investor-state arbitration based on international investment treaties (concluded between states to promote cross-border investment flows) that has produced the most far-reaching developments in the international protection of property. Investment treaties are primarily aimed at protecting foreign investment and associated natural resource rights, allowing investors to seek compensation for state conduct that breaches those standards. In a recent journal article, I showed that investment treaties can impose more stringent standards of protection for investors than are available for people under international human rights law. Investors have increasingly used these treaties to bring international arbitrations against states. Some investors have sought significant compensation when challenging state conduct linked to land governance, including redistribution, the restitution of property, farm occupations, and land valuation. Investors have also used investment treaties to challenge land reform before national courts, while governments have invoked them to resist indigenous peoples' land claims. These legal developments are affecting land claims at local and national level. In a new report, I explore the ways in which international investment treaties put important distributive issues at stake. Investment treaties can protect foreign investors' landholdings against the legitimate land claims of indigenous peoples, small-scale rural producers, or landless and other poor and marginalised groups. These treaties could create tensions with progressive land policies – including measures to implement the VGGT – because they can increase the cost of land redistribution, restitution or tenure reform, or public action to address 'land grabbing'. For example, while investment treaties typically recognise that states have the right to expropriate land to implement land reform, they can also establish compensation requirements that go beyond the standards applicable under national and international human rights law. At scale, applying these more stringent requirements (which do not consider historical injustices or have the flexibility of international human rights law) can make it very costly for states to redistribute or restitute land, or to reform land tenure regimes. In relation to 'land grabbing', the legal protection enshrined in investment treaties could protect one-sided land deals that comply with national law but which dispossess rural people. They might also enable investors to obtain compensation at full market value, even if they acquired the land at less than market price. The doctrine of legitimate expectations, developed through the investment treaty arbitration process, could expose governments to liability for promises that public officials made to investors before consulting communities. As states and non-state actors take measures to tackle 'land grabbing', the public purse in some of the world's poorest countries may have to cover the costs that result for agribusiness companies. Some recent international jurisprudence provides pointers on how tribunals can consider the complexities of land relations in investment disputes — for example, by excluding investments made through corruption or other illegality, or by considering whether investors were aware of the tenure risks when they made the investment. But important questions remain, and much depends on how this jurisprudence evolves. In a globalised world, where land governance is increasingly shaped by international regulation, securing land rights at the grassroots is essential. But the global dimensions must also be addressed, including through using the opportunities that international arrangements provide for public action. Policy choices on investment treaties are ultimately political. They involve trade-offs among multiple policy goals and determine competing claims to resources. This political dimension calls for more effective approaches to enable people to participate in policy choices. Investment treaties are often negotiated with little public or parliamentary oversight. But spaces for citizen engagement are evolving rapidly, as people become more aware of the stakes and avenues for influence. 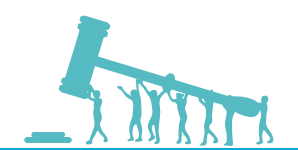 Civil society and social movements are increasingly scrutinising investment treaty negotiations and bringing community perspectives to investor-state arbitration. Sharing lessons can help adapt and spread promising approaches. Research can play an important role, too. The combination of sensitive political choices and complex technical issues calls for an informed and inclusive debate. As developments in law and society reconfigure control over natural resources, there is a need to harness research and advocacy to enable citizens to have greater say on whose rights should be protected and how. Lorenzo Cotula (lorenzo.cotula@iied.org) is principal researcher (law and sustainable development) in IIED's Natural Resources Group and team leader, legal tools. Business as usual – or business with purpose?